Notebook with approx. 70 sheets of ruled writing paper. 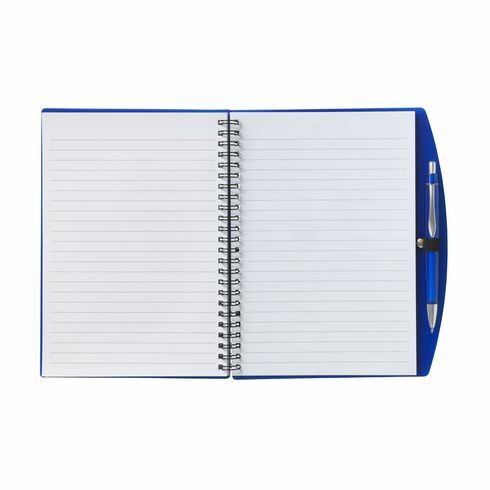 With a durable plastic cover and metal wire spiral-binding. 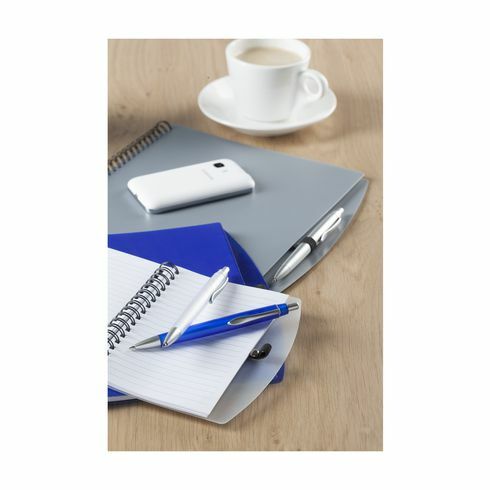 Includes matching blue ink ballpoint pen.